I fist tasted this salad at a great new restaurant in Birdhaven called Arbour. 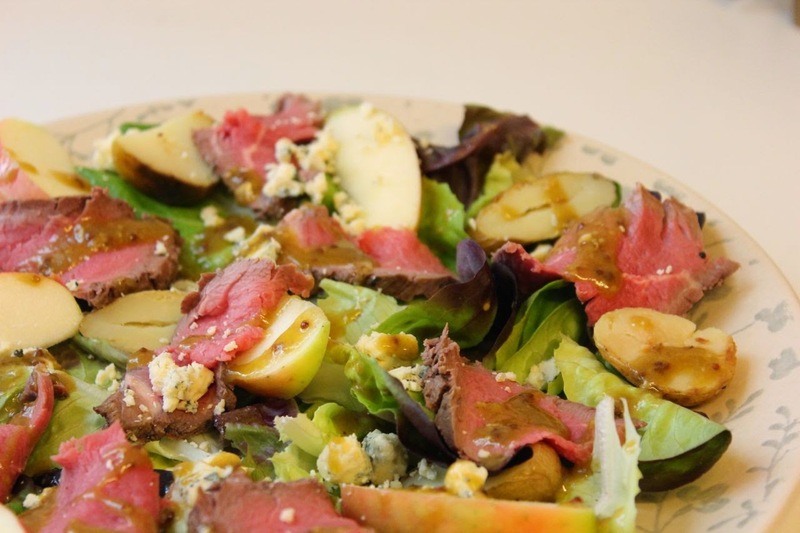 The combination of fillet, blue cheese and apples in a salad sounded strange to me but I gave it a bash and was really pleasantly surprised; the potatoes give the dish the earthiness it needs to balance the sweetness of the apples and the richness of the cheese and the creamy wholegrain dressing brings all of the elements together. Whisk the dressing ingredients together until emulsified. 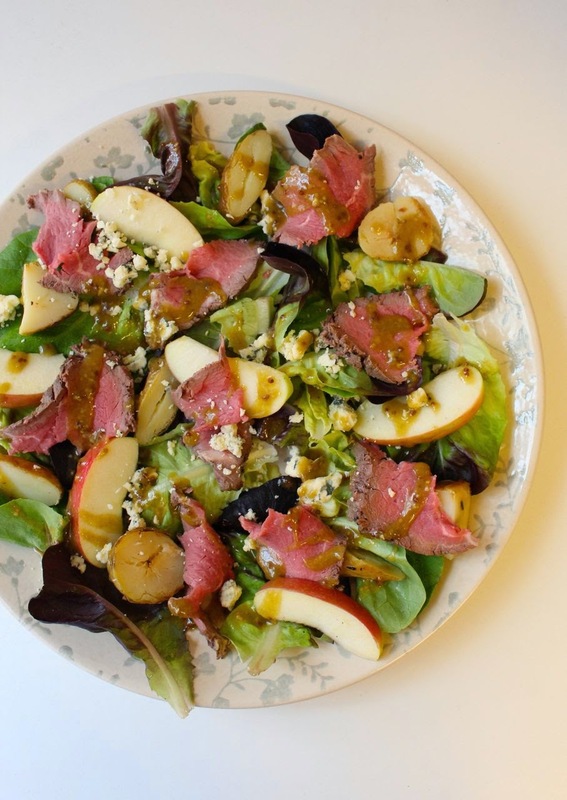 Spread the lettuce out on a serving dish and layer over apple slices and potatoes. 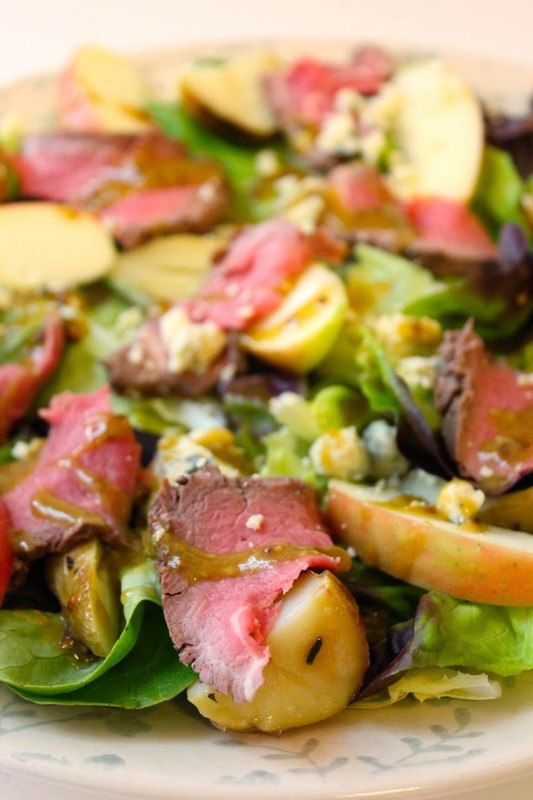 Slice the rump/fillet and scatter the slices over the salad. Finish by drizzling over the dressing.